Steve Long was born on February 16, 1944, in Hastings, Nebraska. He entered Officer Training School on March 13, 1967, and was commissioned a 2d Lt in the U.S. Air Force at Lackland AFB, Texas, on May 27, 1967. 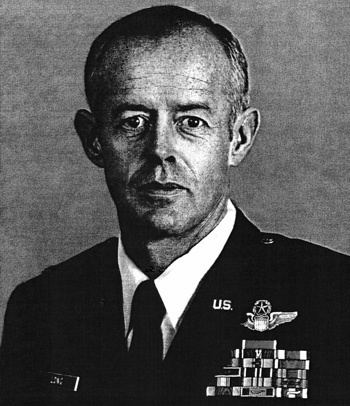 Lt Long next completed Undergraduate Pilot Training at Williams AFB, Arizona, in June 1968, followed by O-2 Skymaster Forward Air Controller training. His first assignment was as an O-2 FAC with the 23rd Tactical Air Support Squadron at Nakhon Phanom Royal Thai AFB, Thailand, from November 1968 until he was shot down over Laos and was taken as a Prisoner of War on February 28, 1969. After spending 1,490 days in captivity, Capt Long was released during Operation Homecoming on March 28, 1973. He was briefly hospitalized to recover from his injuries at Travis AFB, California, and then attended T-38 Talon flight recurrency training before completing F-4 Phantom II upgrade training in May 1974. 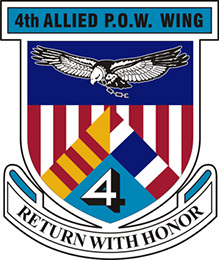 His next assignment was as an F-4 pilot with the 32nd Tactical Fighter Squadron at Camp New Amsterdam, the Netherlands, from August 1974 to October 1976, followed by service as an F-4 and F-105 Thunderchief pilot with the 35th Tactical Fighter Wing at George AFB, California, from November 1976 to March 1980. Maj Long completed F-16 Fighting Falcon upgrade training in May 1980, and then served witht he 388th Tactical Fighter Wing at Hill AFB, Utah, from May 1980 to February 1984. 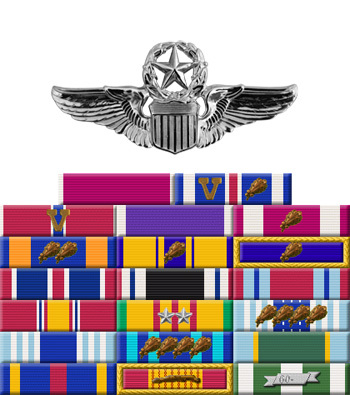 His next assignment was as an Air Liaison Officer with Detachment 5 of the 507th Tactical Air Control Wing at Fort Campbell, Kentucky, from April 1984 to January 1986, followed by service with the 602nd Tactical Air Control Wing at Fort Ord, California, from January 1986 until his retirement from the Air Force on November 1, 1987. After retiring from the Air Force, Stephen served as an instructor with the F-117 Nighthawk stealth fighter program in Nevada from 1987 to 1992. He later served as the Deputy Director for Veteran's Affairs for the State of Nevada. Stephen Long died on August 10, 2018. First Lieutenant Stephen G. Long distinguished himself by heroism while participating in aerial flight as a Forward Air Controller in Southeast Asia on 19 February 1969. On that date, while piloting an unarmed O-2A Observation Aircraft, Lieutenant Long directed a series of five air strikes against a hostile petroleum storage area. Flying in a heavily defended area, he pressed the attack, despite intense antiaircraft fire, until he stretched his fuel to the limit and darkness fell. As a direct result of his efforts, a large stockpile of petroleum products were destroyed. The outstanding heroism and selfless devotion to duty displayed by Lieutenant Long reflect great credit upon himself and the United States Air Force.